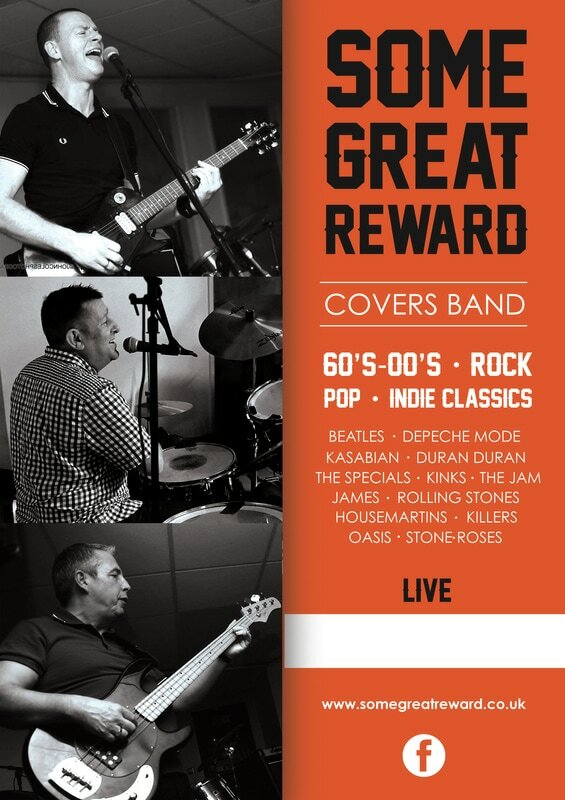 Some Great Reward are a covers band who are available in and around the Coventry and Midlands areas, we offer a mixture of well known songs from the sixties to present day. Please see our links above for a song list and videos of the band and below for our current gig list. If you wish to book us please see the contacts page, so please contact early to avoid disappointment. We are also available for birthday parties, weddings etc. We also have Public Liability Insurance and are registered with Events UK.